Alright you guys, it’s here!! 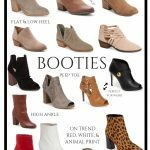 No not Friday, my fall booties roundup!!! I know, I know you’re too excited. 🙂 For real though, I know you guys love this post every year, and I LOVE putting this one together. I mean every year more cute taupe and tan booties come out! Now my yearly WARNING! Buy NOW, don’t wait!! This kinda tan/taupe/lightish brown/gray bootie color shade will sell out quick. It is one of the first shades to go every year, and buy mid September this post will be old news, sold out! I already found a few cuties that didn’t make the cut because they only had 1 or 2 sizes left. Instead of sharing a few splurges this year, I found a few super saves coming in at $59 and $79. They are both so cute, and when you put them next to some of the just over $100 pairs, they don’t really look much different. I also found some great pairs just under the $100 mark too! Of all 9, I think these are my favorite. They remind me a lot of a splurge pair I loved last year, but at a much better price. Now that fall is hitting stores, I updated my shop page to include some of my latest fabulous fall finds! So be sure to check it out! Ya’ll have a great weekend and see you back here on Monday for one last outfit I shot in Charleston! 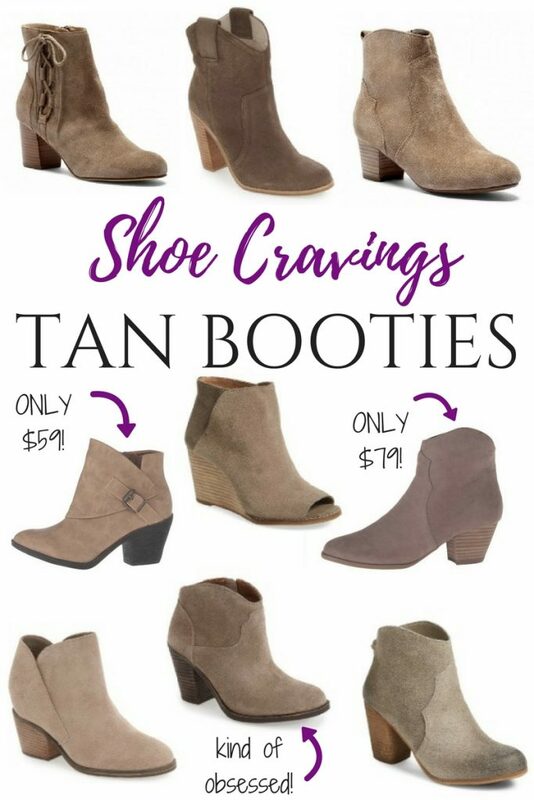 SHOP ALL THE TAN BOOTIES AND MORE!